We stand at an inflexion point for technology adoption at the end of 2018, Accops predicts that the year 2019 will see huge focus on Mobility & Security as the growth in ICT spending continues to be driven by The Big Four: Cloud, Mobility, Big data and Artificial intelligence. This business transformation has given rise to the need of secure data access at any time, from any location and from any device. The Big Four will unleash multiplied innovation with massive data sharing and monetization, and hyper agile application deployment technologies. They will help organizations to create seamless digital work spaces that are dynamic in nature. Business operations have already started seeing benefits with chat-bots being able to solve level 1 technical support queries with help of machine learning. Accops predicts with the help of The Big Four, security teams will be able to automate and self-heal faults and provide both predictive and proactive security that is self-aware. Time-consuming tasks of IT teams such as troubleshooting, or provisioning of applications and infrastructure will be automated leading to reduced IT complexity. Digital transformation will also witness plethora of benefits with other upcoming technologies such as virtual reality, augmented reality, block chain and IOT driven industry 4.0.
and business data distributed across geo diverse locations is a major challenge, while adopting any new technology. Implementation efforts on any of big four technologies will be futile until IT infrastructure is consolidated. Data, which is the key underlying element for implementation of big data or artificial intelligence or mobility, can only be brought under control with help of centralized IT infrastructure. AI itself is a vast and deep subject. AI has already paved its way in most of the industries. In the future, AI and big data will offer powerful tools to streamline business processes, get rid of legacy systems, simplify operations and expedite processes. AI will be the key enabler in innovating new products and understand the customers better to deliver the best. The future holds more disruption from AI, not less. When I say, “storage cloudification”, it typically means that we need to get the right type of storage for the specific job. In 2019, companies will start utilizing storage based on the purpose/requirements. We will witness that IaaS, storage and databases will become intelligent and rule the market. Storage and the data it houses are the two main components of every business foundation. When we cloudify the storage it gives us the freedom of data – a valuable asset — being available, accurate, reusable and secure. 2018 was a year for enterprise mobility, as organizations continued leveraging new mobile technologies to boost productivity and improve employee experience, reduce costs, and protect data. With 5G implementation round the corner, businesses should start ramping up their systems for this to make the most out of it. In the upcoming year, with SaaS, we will witness more and more companies adopting SaaS as it helps in legacy application migration to the cloud. Most of the companies will be turning to cutting-edge SaaS powerful tools. Why not? Their operations will no longer depend on legacy systems as most of the performance apps say 70-80% will be hosted and maneuvered in cloud. It will benefit the companies in terms of financial savings, productivity and of course it’s easy to use. The year 2019 can foresee huge transformation in IT industry. It is expected to see various organizations define, adapt and transform their offerings from a technology heavy design leading to service offerings with a niche in the market. Similar to how the various verticals adopted and benefited through Cloud technologies, the focus will now all be on the “tangible services” that are relevant to both individual and corporate consumers at large scale. We can expect to see new service segments being created alongside standardization of existing offerings in a highly competitive environment. The technology companies will continue to flourish based on their roles in the chain of data generation – data aggregation – data communication – data analysis – data presentation – data generation. Similarly, AI will be all about personalizing the technology all over again in order to make service consumption seamless to consumers through their daily interactions / activities. Firstly it will be about identifying useful data among the plethora of data being generation from all kinds of sources & platforms. Then it will involve humans again for bringing in that natural factor to define the churning of data to come up with actionable Intel that will finally lead to service delivery with a touch of personalization. The year 2019 will be very experimenting for all the industries. With the intrusion of cutting edge technologies and new initiatives taken up by specific organizations, we can expect an exponential growth among various businesses across the globe. One of the major drivers for end-user adoption is the lower cost associated with rack solutions. The manufacturers are adding new features such as corrosion protection, system expandability, self-cooling, modular DC and thermal management, compatibility and connectivity for making them economically feasible for various verticals. Also, many organizations from SMBs started to implement Modular and Colocation datacenters considering the factors such as more scalability, agility, efficiency offered with disaster recovery. However, growing investments in data centers will offer ample opportunity to the various established and new data center rack vendors in the coming years. 2019 will be the year of implementation for various industries. Along with continuous acceleration of IT industry, one can expect the structured cabling industry to flourish in the global markets. Structured Cabling is one of booming industries across the world. 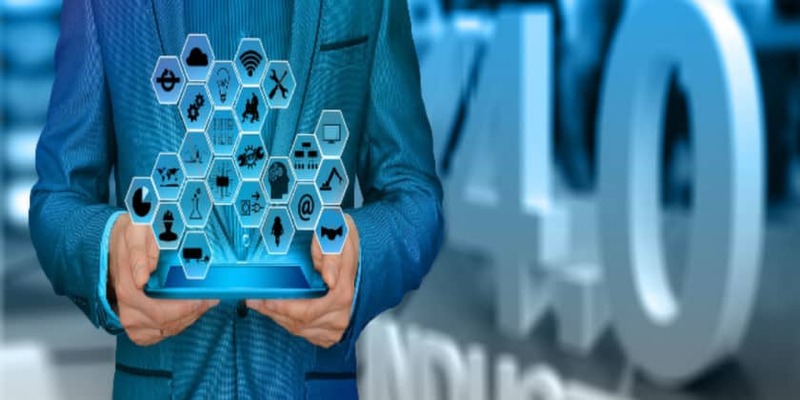 Also, 2019 will witness the organizations adapting technology rich connectivity products to their cabling infrastructure such as Shielded cables, S/FTP products, Cat 8 cabling solutions etc., Speaking over Indian market, 2019 may also play a positive role by introducing more benefitting initiatives for cabling and manufacturing industries, proportionally increasing investment in network and building infrastructure which drives the Indian cables market. According to recent Gartner report cloud market is projected to reach a staggering $206 billion in 2019, from $175 billion in 2018 and $145 billion in 2017. In a data driven society, Cloud computing has become default platform for fueling DXs and modernizing IT portfolios.Infiltrating the enterprise space, more businesses shutting their traditional data centers and making heavy investments, undoubtedly Cloud is here to stay. Indian IT Industry: What Experts Foresee in 2019 0 out of 5 based on 0 ratings. 0 user reviews.